My family, who all live in Ohio, stopped by to see me at the reception. They've never been to any Mothersbaugh shows that I've hosted, so it was nice to see kinfolk there. 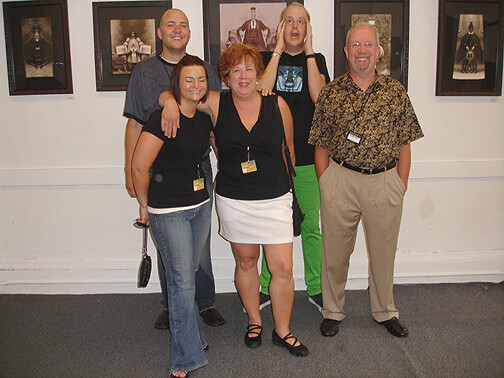 L to R: My nephew Ryan Sisler, his fiance Danielle Casale (no relation to DEVO's Casale's), my sister Judy Sisler, me, and my brother Tom Pilmer.